The minimum temperature was recorded at 26.4 degrees Celsius, two notches above the normal. The heat wave continued unabated Friday in the national capital, where the maximum temperature settled at 39.2 degrees Celsius, a notch above the season's average. The Safdarjung observatory, whose recording is considered the official figure for the city, registered a maximum temperature of 39.2 degrees, while areas under Palam, Lodhi Road, Ridge and Ayanagar observatories recorded 41, 38.4, 38 and 37.8 degrees Celsius, respectively. The minimum temperature was recorded at 26.4 degrees Celsius, two notches above the normal, said a Met department official. The humidity oscillated between 57 and 36 per cent. The Met office has forecast overcast skies along with a possibility of thundery developments for Saturday. "The maximum and minimum temperatures are expected to hover at 39 and 26 degrees Celsius, respectively," the weatherman said. 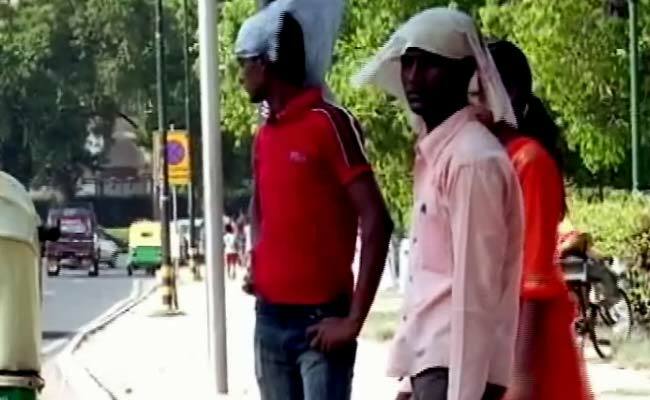 On Thursday, Delhi recorded the season's hottest day with the mercury settling at 42 degrees Celsius, while the minimum was recorded at 23.5 degrees Celsius.